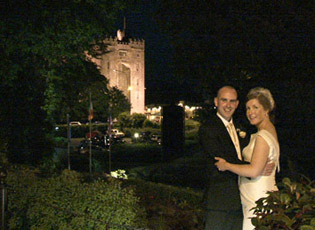 I was the official wedding Videographer for the wedding of Mairead Travers and Jim Kenny on 26’th May 2012. I started the filming at Maireads’s house with the bridesmaids Grainne, Lorna and Catherine were having the final preparations done by Linda from Radiance Beauty Clinic, the girls were very relaxed and looked fantastic, Linda has a facebook page or you can contact her on 065 6825171. The church and mass were lovely and the church music was by Ann O’Donnell and it was beautiful. There wedding car was a show stopper it was a lovely Austin car. The wedding photographer on the day was Mellick from Picture it. We headed to the wedding reception in the fabulous Bunratty Castle were the attention to detail as always was second to none, the weather was fantastic the we had sunshine for the day. We had a speciality wedding band called the Atomic Chicken they were amazing and had the floor full for the night, if you get a chance do check them out. 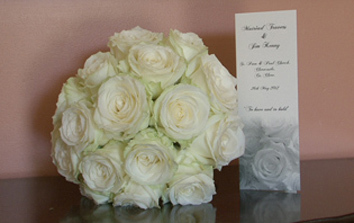 Jim and Mairead were a pleasure to work with and I look forward to meeting them again when the wedding DVD’s are ready. 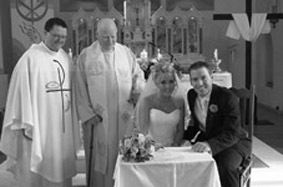 I was the wedding videographer for Barbara Mc Evitt and John Michael Mc loughlin on 25’th May 2012. I started filming at Barbara’s house were Barbara and her bridesmaids Michelle and Paula were having the final touches done to their hair and make up, they were all very calm and enjoying the banter. The church was St Thomas The Apostle in Laurel Lodge were we had Fr Dan O’ Mahoney celebrating the mass, he was a family friend which always adds to the ceremony, he was so relaxed and lovely to work with. The church music was by the wedding singer Padraig D Arcy and he is powerful and amazing to listen too. They had a wonderful 1951 Bentley as the wedding car, the wedding photographer on the day was Laura O’ Faherty who did a great job. We set off to the wedding reception in the wonderful Fitzpatrick Castle who as always did a brilliant job, the weather was fabulous and the atmosphere was electric. In the evening we had the great wedding band Panoramics they were just magical, if you need a band up do check them out they had them rocking for the night. 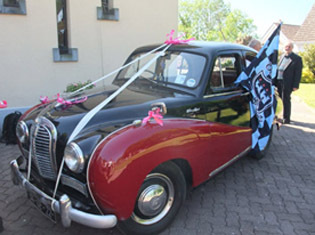 Wedding Videographer Dublin – Anne and Chris – 12’th May 2012. 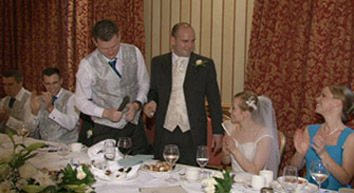 I was the official wedding videographer at the wedding of Anne Boland and Chris Bigley on 12’th May 2012. I started at Anne’s house were the girls were having the final preparations done with their hair and make up, all was very calm and the girls were in great form. The church was in St Mary’s in Sandyford Village, Rev Andrew O’ Sullivan was celebrating the mass and he is lovely to work with. The church was beautifully decorated and they had the wonderful church music by Avoca String Quartet. We set off to the wedding reception that was in the wonderful Druids Glen, we were met at the door by Nessa Karney who is a fabulous wedding coordinator and all round wedding planner. Everything went to plan as it always does in Druids Glen. In the evening the wedding band was Stereofusions and they were just magical they had a great way with the crowd, if you need a band do check them out they had them rocking for the night. It was a great day and I look forward to meeting Anne and Chris again when there wedding DVD’s are ready. 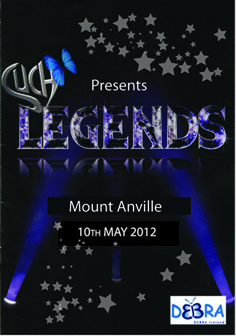 I had the honour of been involved in the filming of Such Legends a production organized entirely by the transition year students of Mount Anville School on May 9’th 2012, this was a charity night to help raise funds for Debra Ireland. 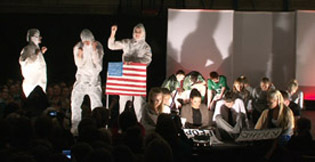 Every year Mount Anville transition year students chose a production and a charity of their choice. 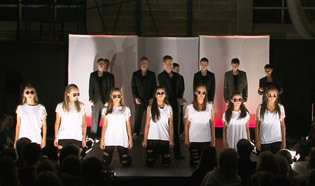 It was a fantastic show and you have to admire the hard work and dedication by all who were involved. A lot of long hours, broken Easter holidays and extreme hard work went into making this show such a success and each and every person should be very proud of themselves. Peter Mark and the Body Shop were responsible for all the hair and make-up, they did an amazing job, they also donated prizes for the raffle. There were a lot of sponsors and people who donated raffle prizes and without these a production like this can’t go ahead. Again, well done it was a fantastic show and I hope you raised a lot of money for Debra Ireland, each and everyone of you should be very proud of yourselves. 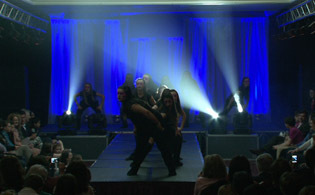 I was involved in the filming of The Teresian School Peru Fashion Show on Sunday 22’nd April 2012 in The Stillorgan Park Hotel, this was a charity night to help raise funds for Teresian Projects In Villa Salvador. Seventeen self – funded 5’th years will be taking part in a Volunteer Programme in Lima for three weeks this summer. What a thing to be apart of and experience. 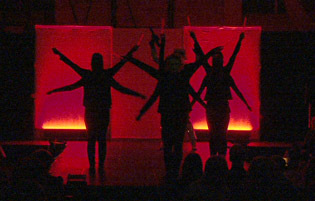 It was a fabulous show and you could see how much hard work and dedication that went into the show by all who were involved. 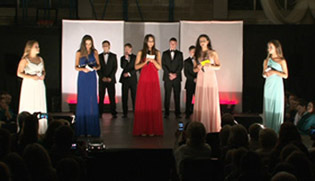 There was a huge amount of support from shops and designers, the models who were students from the school, a few past pupils and a few of the Mums all did a great job, I wouldn’t be surprised to see some of them on the catwalk in Milan in a few years. It was great to see so many people involved in making this night a huge success and all the people who donated raffle prizes and those who sponsored the Fashion Show Programme, there are to many to name but a couple of them were Miss Ali Dance School who we have worked with on many occasions, I have attached one of our blogs Miss Ali Panto Mash, The Regency Hotel, Brightlife Photography and the famous Borza Chipper. The support that was given just shows what a great cause this is for and I would like to wish the girls a safe and happy trip and I was honoured to be a part of this. 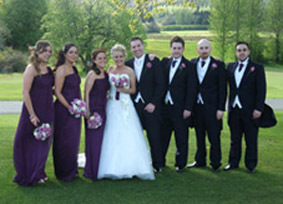 Wedding Videographer Dublin – Lorraine and Daragh – 21’st April 2012. 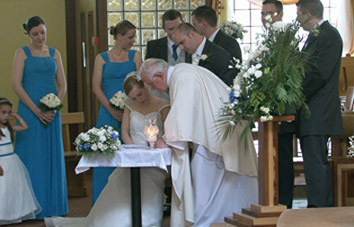 I was the official wedding videographer at the wedding of Lorraine and Daragh on 21’st April 2012. I stayed the previous evening in the Longford Arms Hotel, I wanted to be close to the venue as I had driven from Westport where I had been filming a wedding the day before. I started at the Sacred Heart Church in Kilmainham getting coverage of all the lovely flowers and the interior of the church. I was there as Dara and the guest’s were arriving and awaiting the arrival of the beautiful Lorraine. The wedding photographer was Paula O’ Hara from Lurgan and wow she did a great job and got some lovely shots. 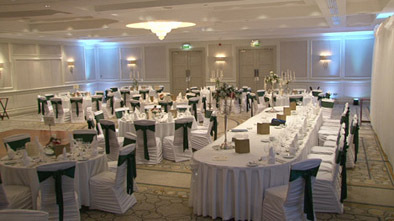 We set off for the wedding reception in the wonderful Cabra Castle and as always everything ran like clock work. In the evening we had the wonderful wedding band Wild Cats they were brilliant and had a great way with the crowd, if you need a band do check them out they had the crowd up dancing for the night. I look forward to talking to Lorraine and Daragh when the wedding DVD’s are ready.